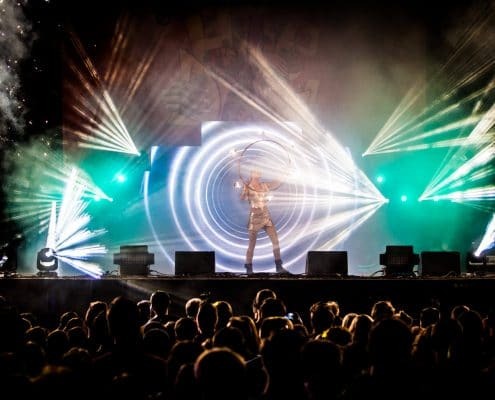 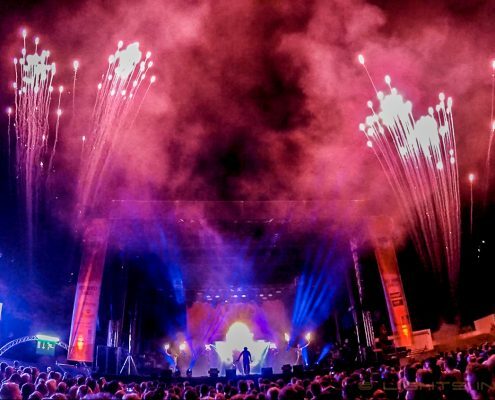 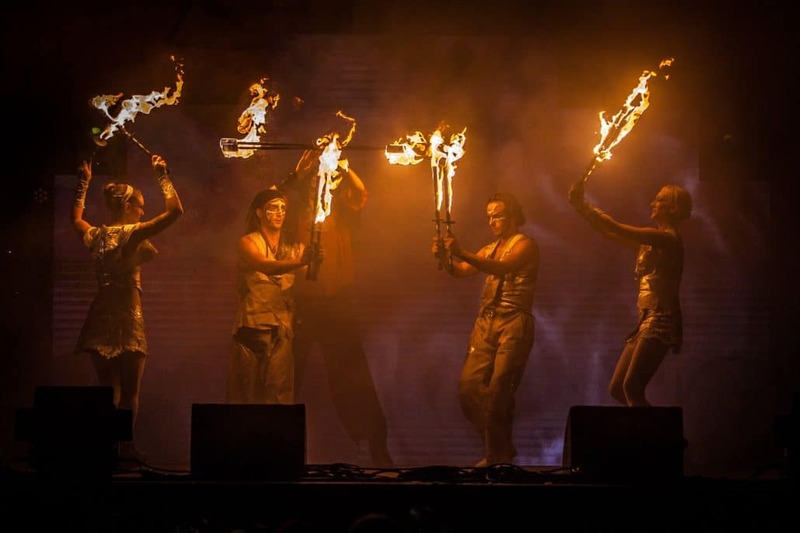 On the Sunday evening of the 11th of September an ecstatic crowd of thousands of spectators were present at the biggest show performed by Lights in Motion up to date. 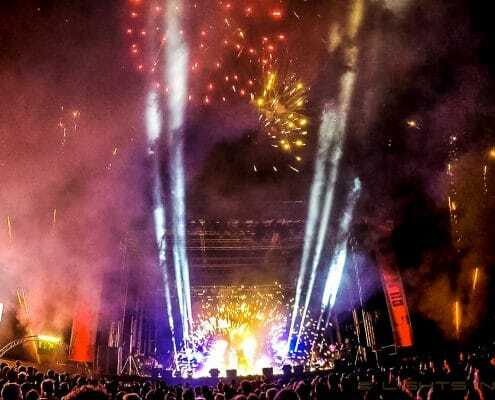 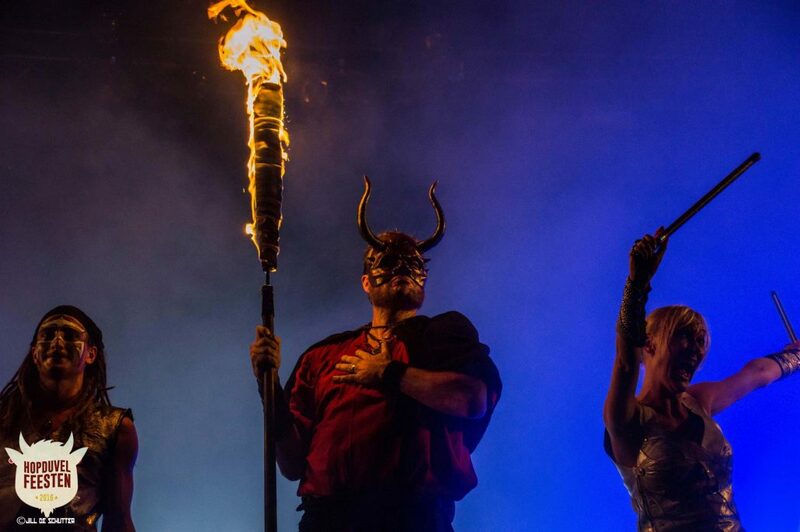 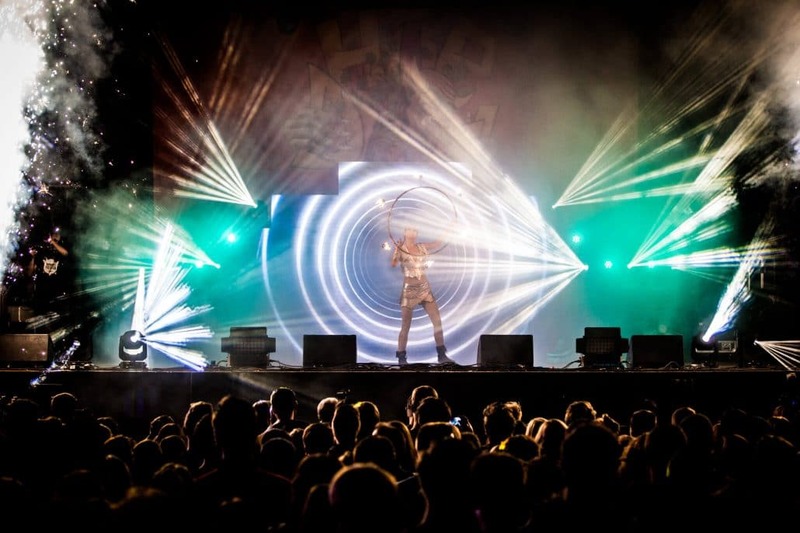 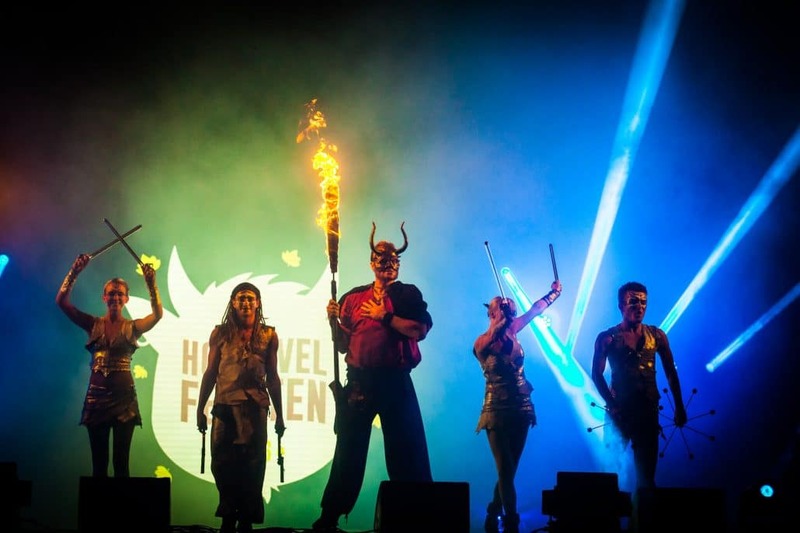 This show was part of the closure ceremony of the three day event named Hopduvelfeesten in the Belgian village of Asse. 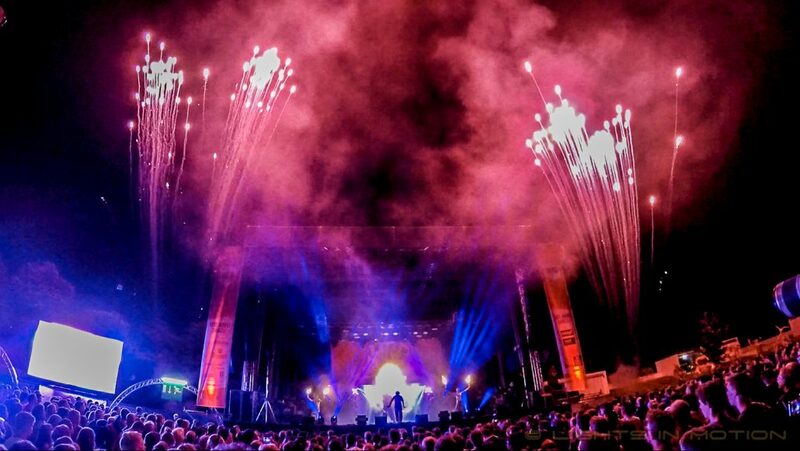 Lights in Motion was asked to provide a remarkable closure spectacle for this event. 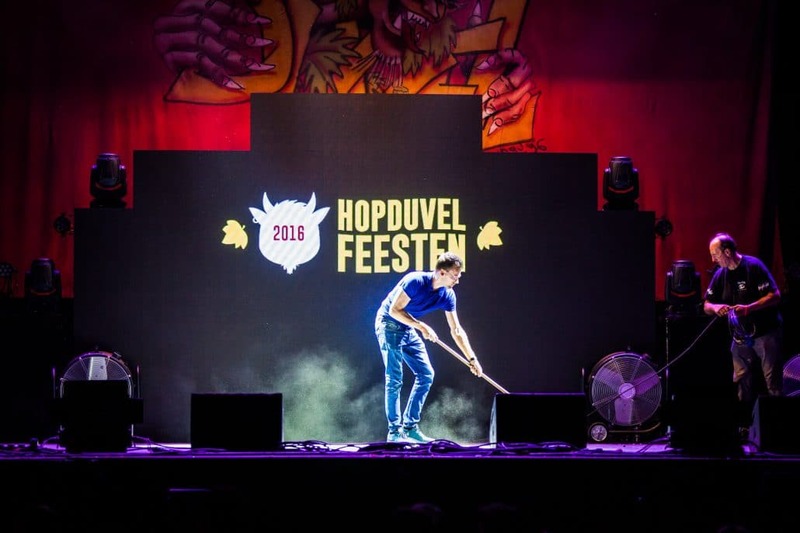 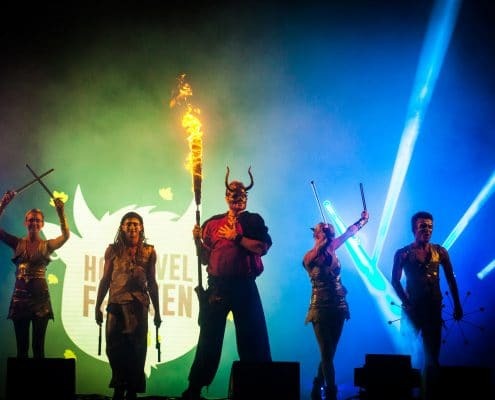 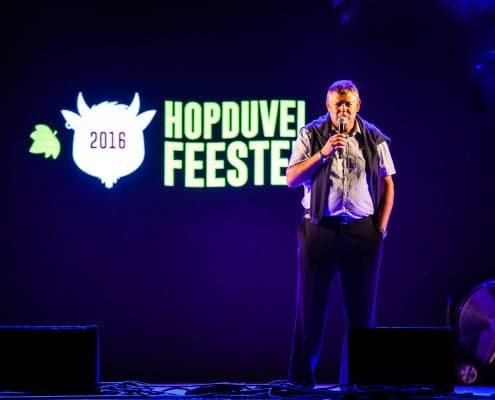 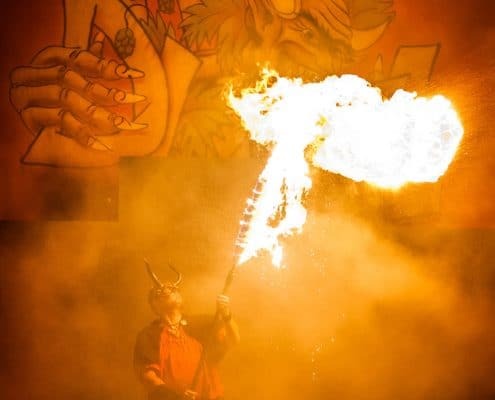 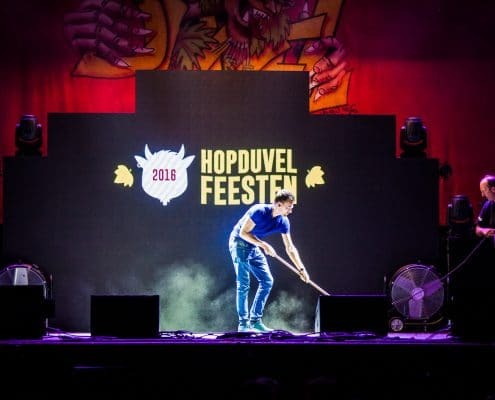 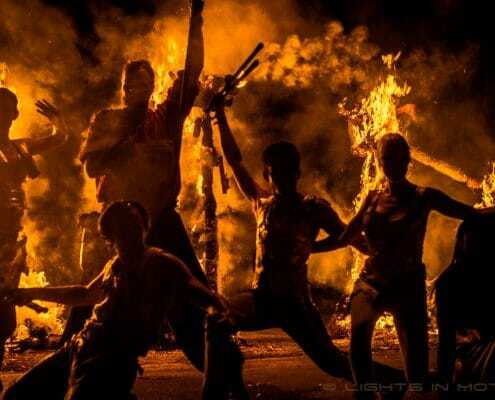 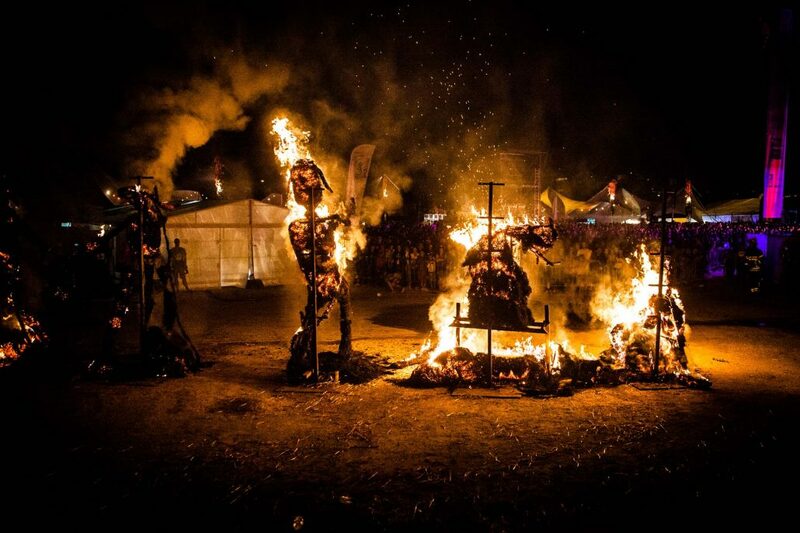 The Hopduvelfeesten is a biennial event in which the ritual burning of the so called Hopduvel is celebrated. 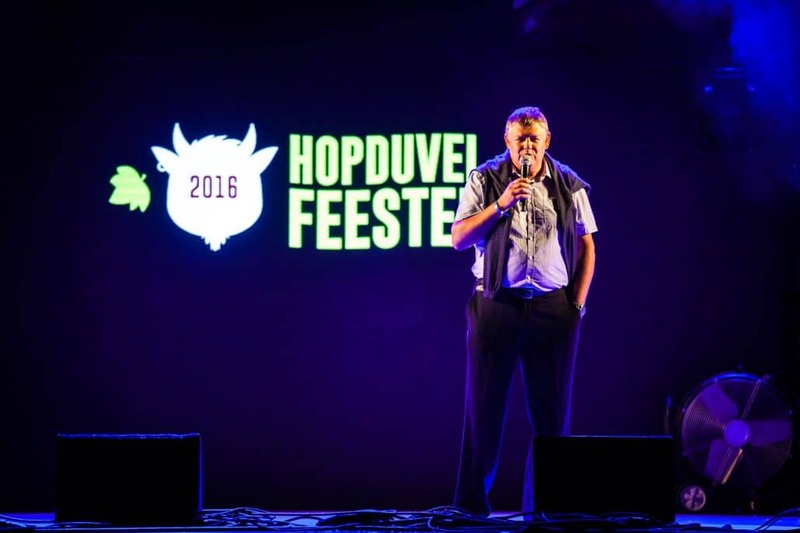 The Hopduvel symbolises the storms, plagues and rain that can destroy the hop harvest. 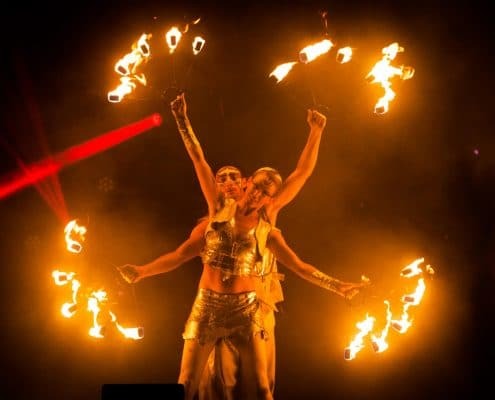 The theme for this edition were the four elements of nature. 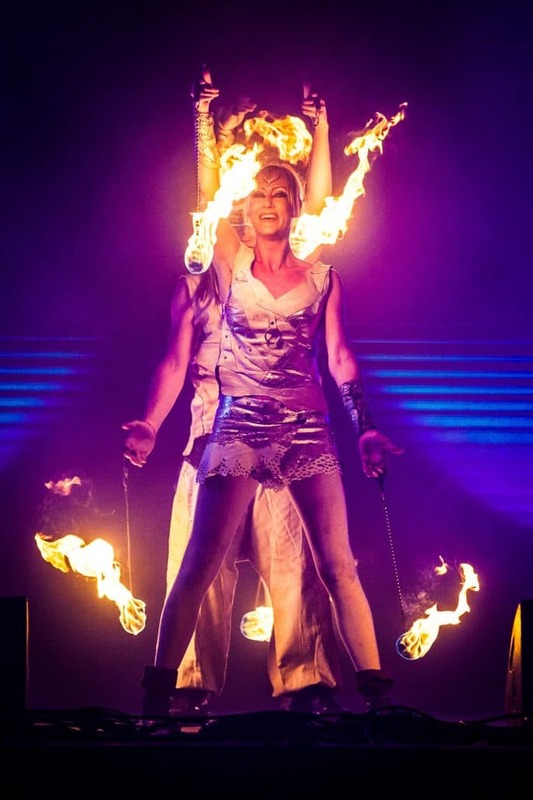 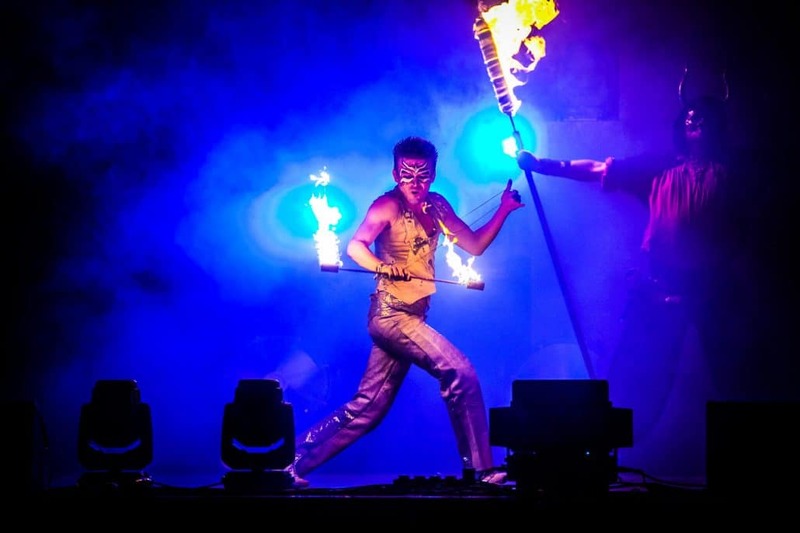 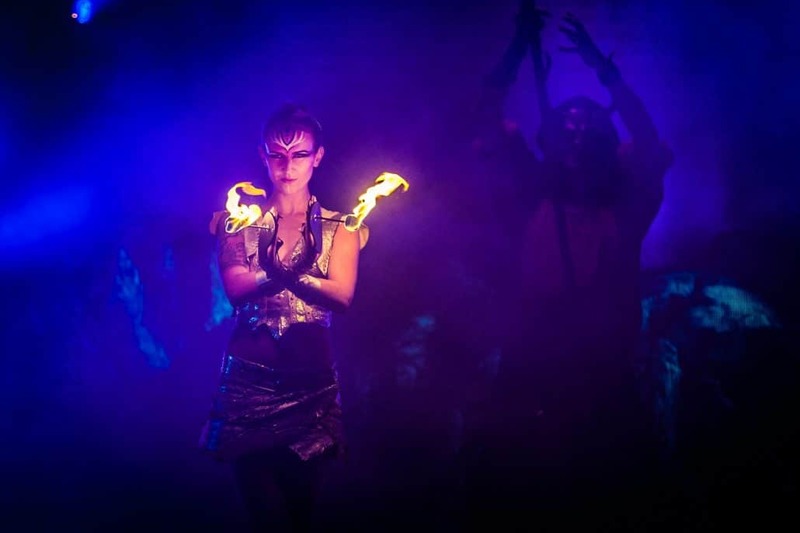 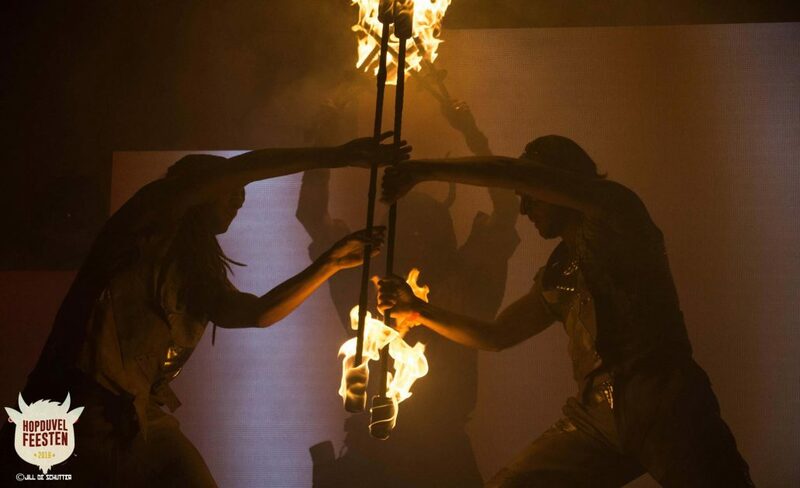 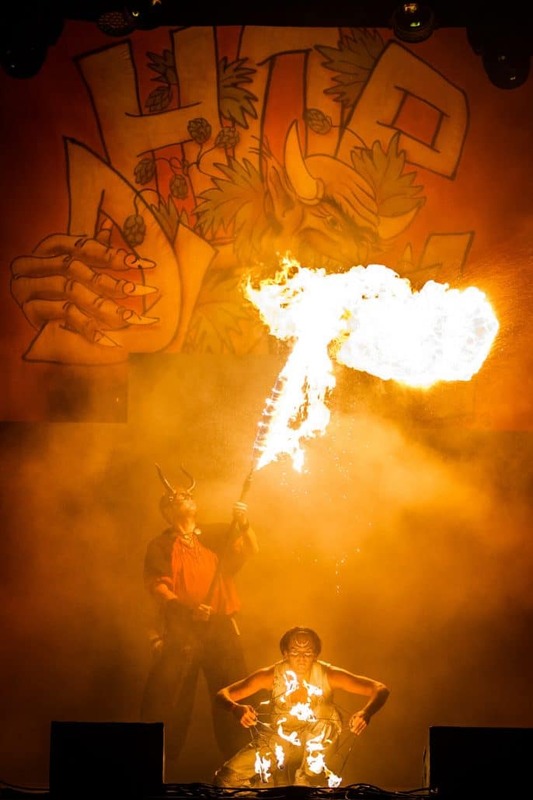 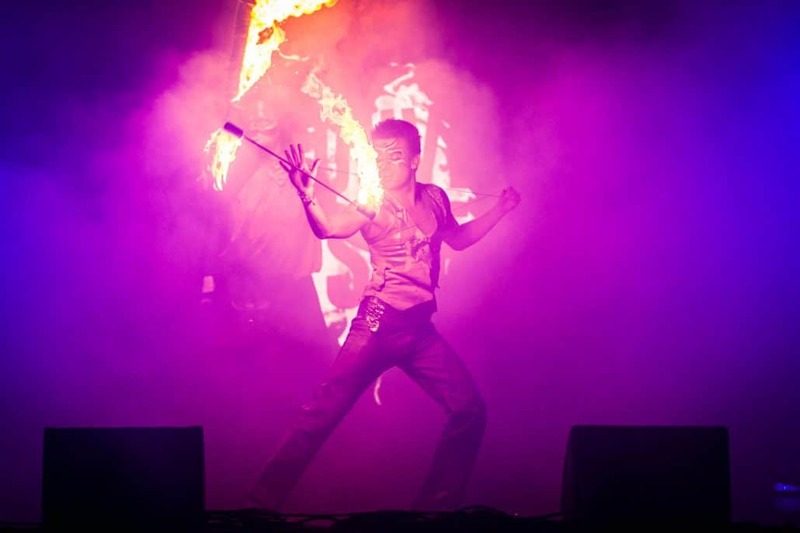 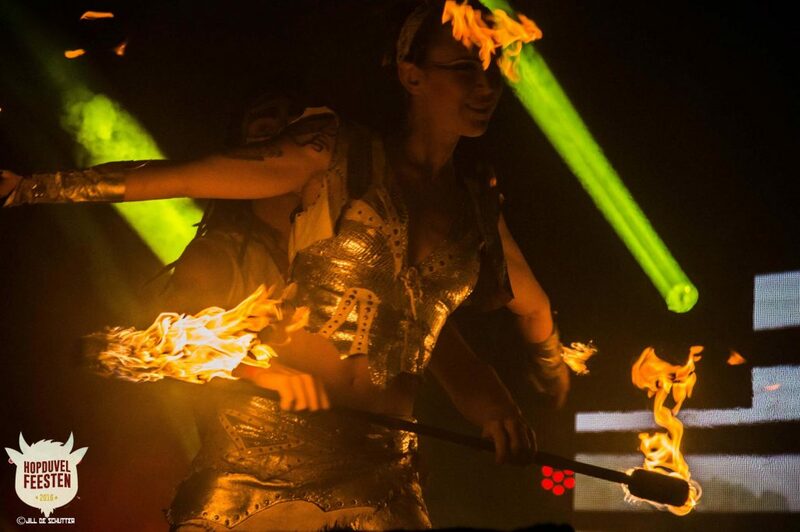 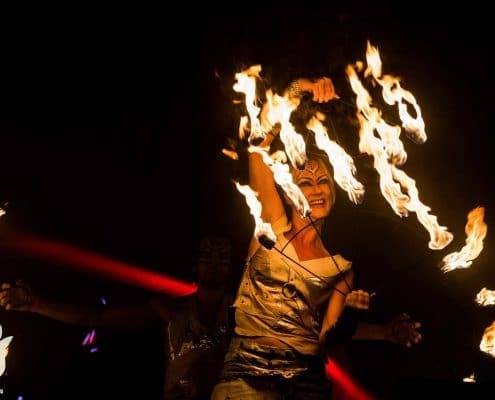 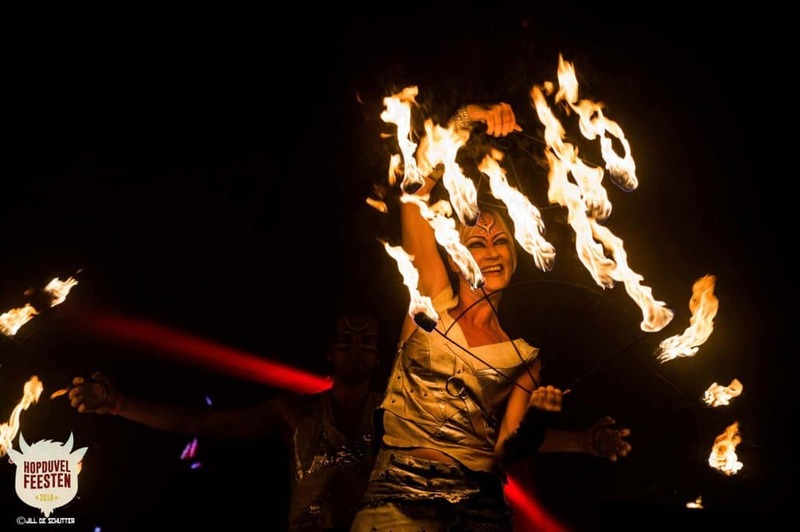 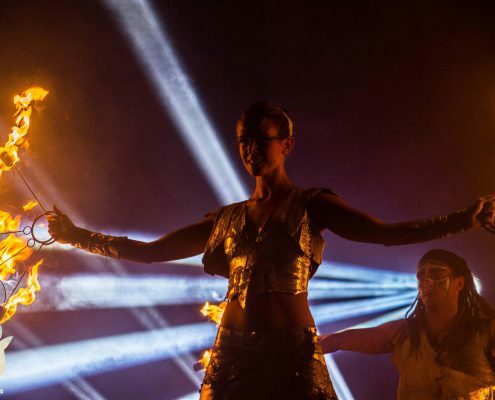 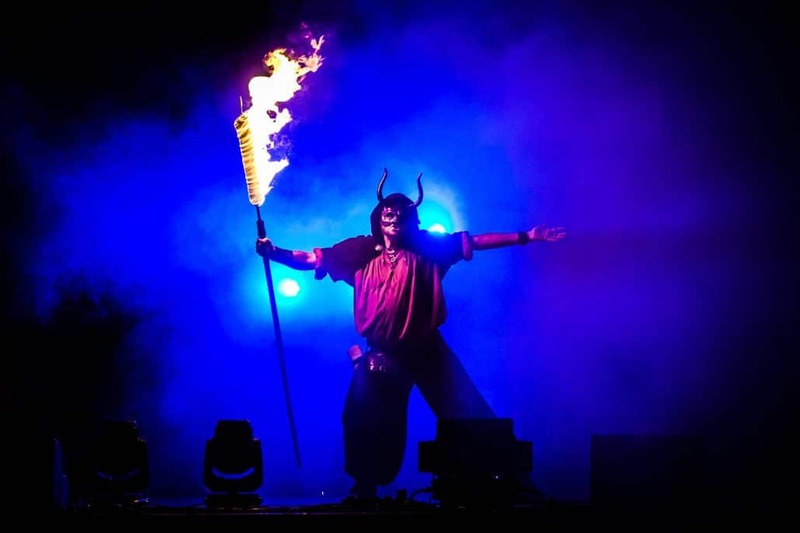 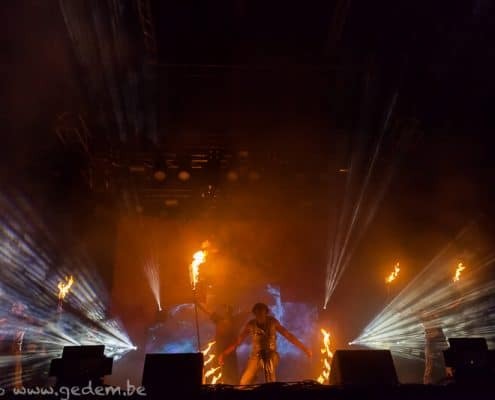 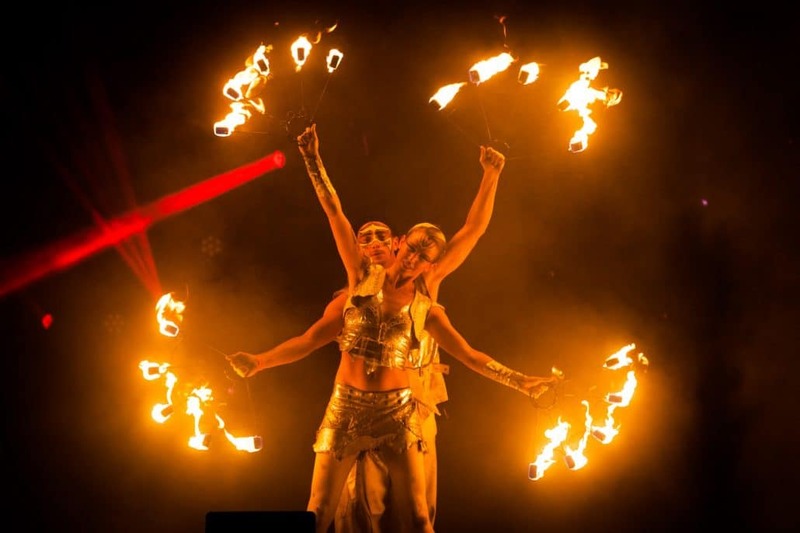 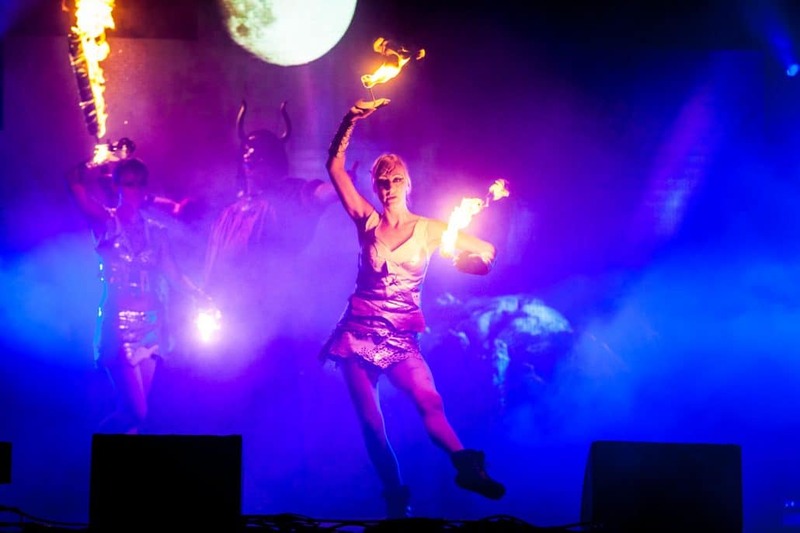 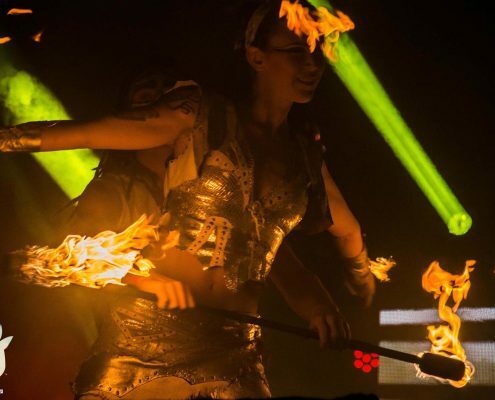 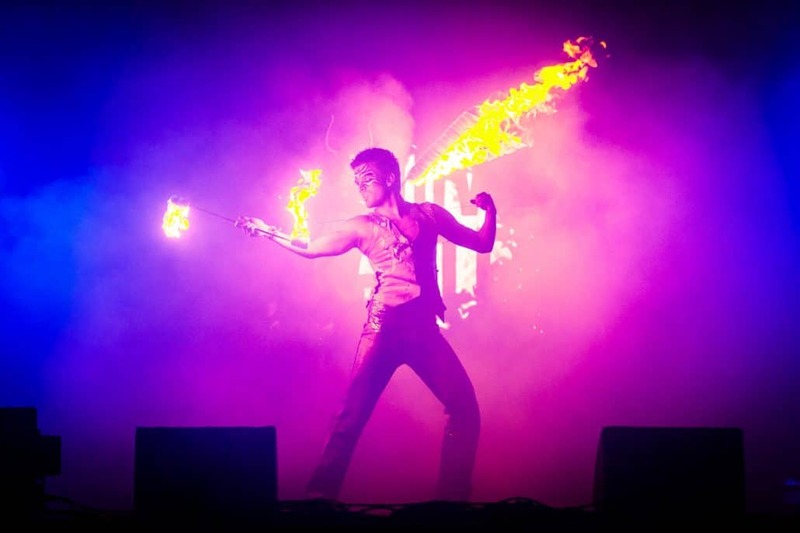 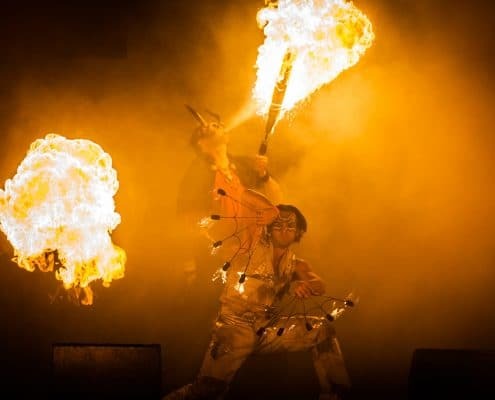 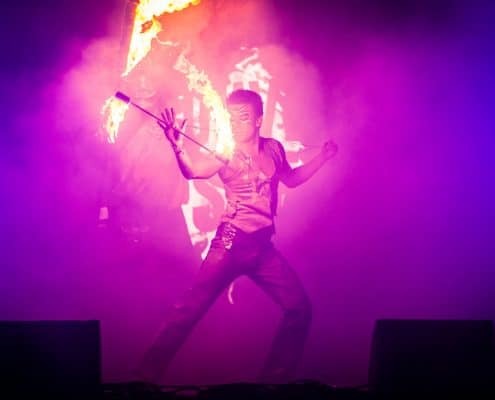 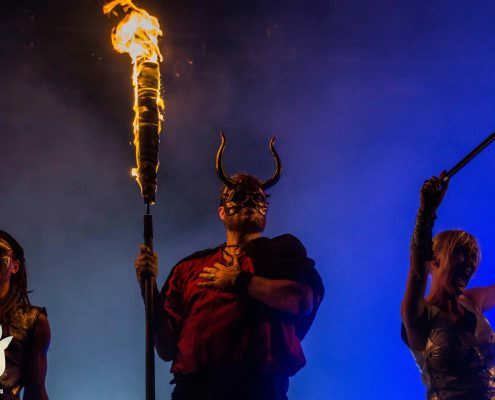 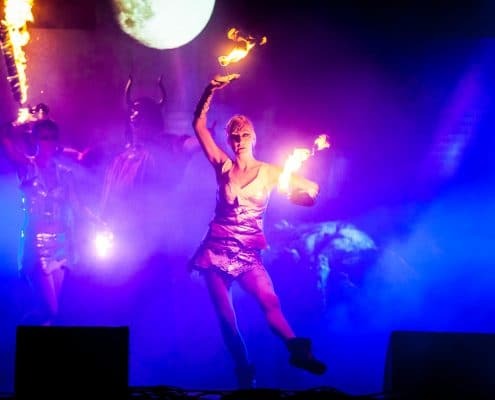 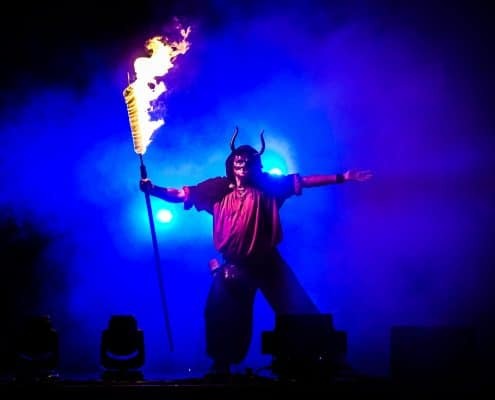 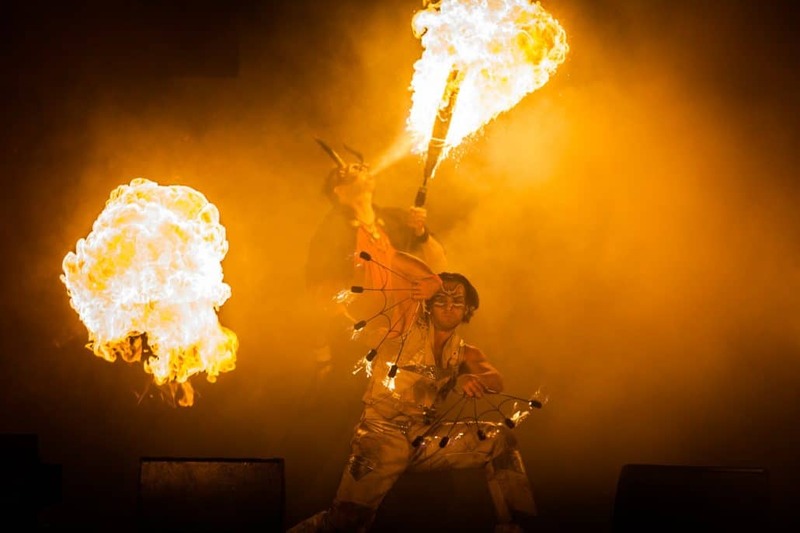 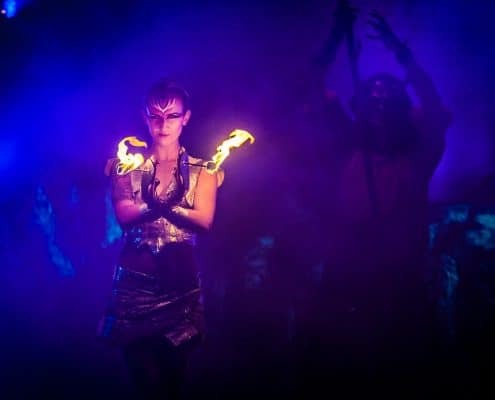 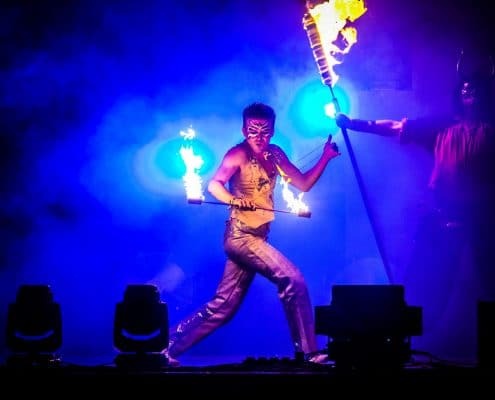 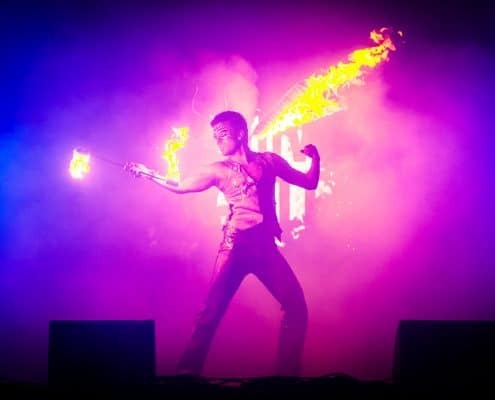 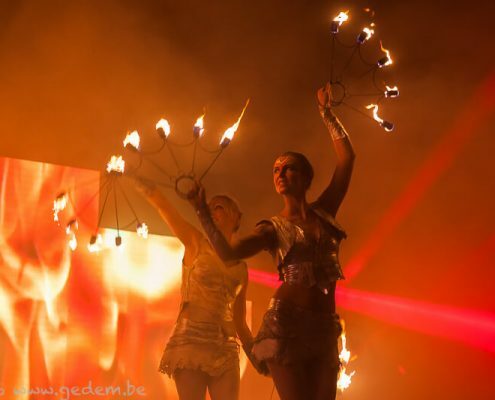 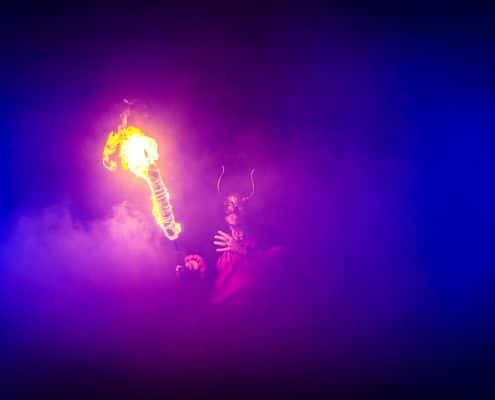 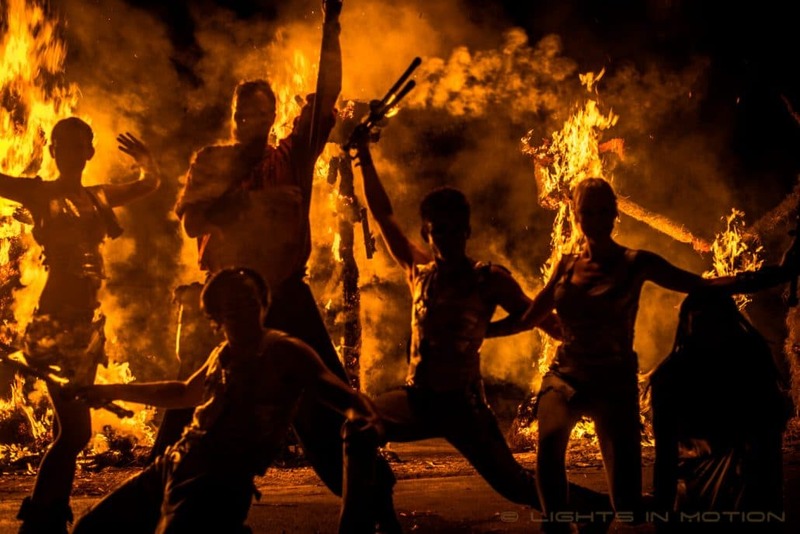 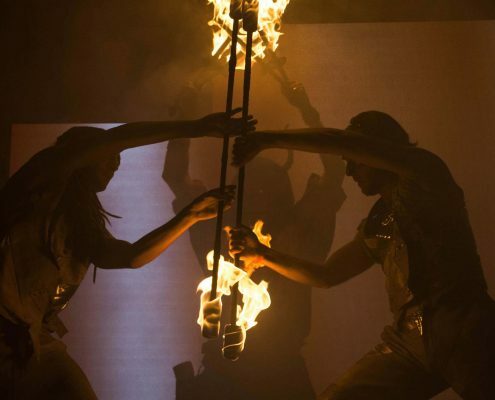 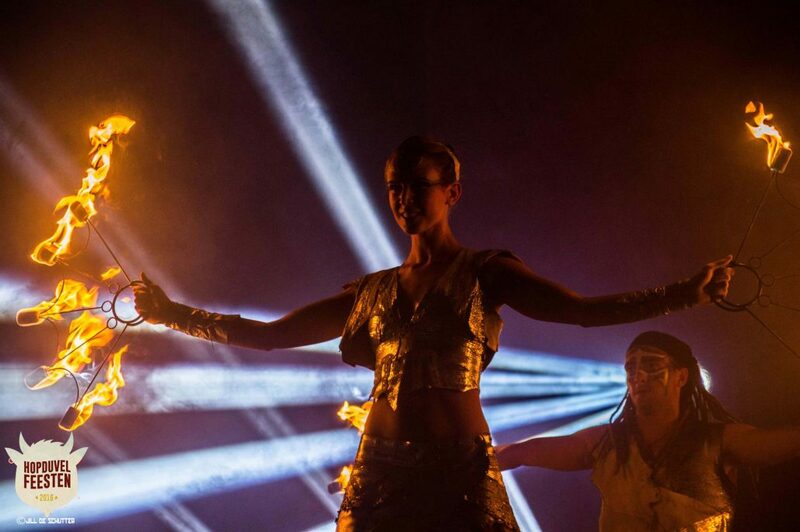 The first part of the spectacle was the Reflections fireshow, which took place on a gigantic stage in front of 10000 spectators. 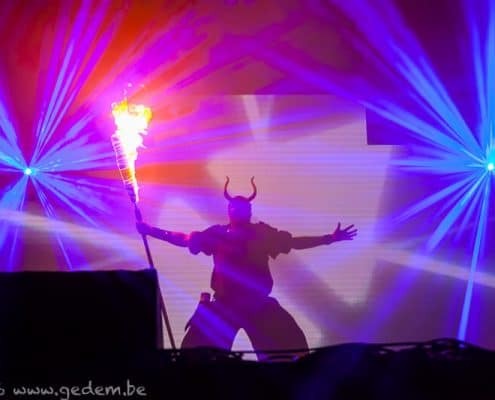 The four elements like earth, water, air and fire were incorporated in the animations that were displayed at the LED wall. 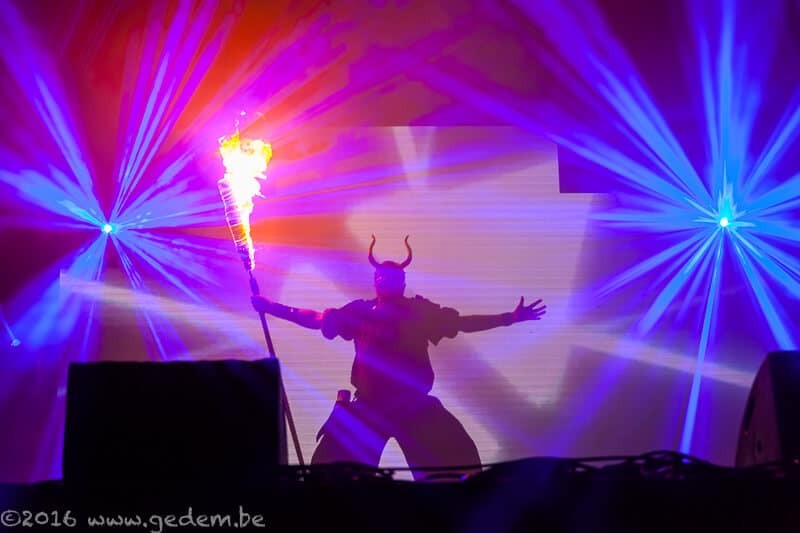 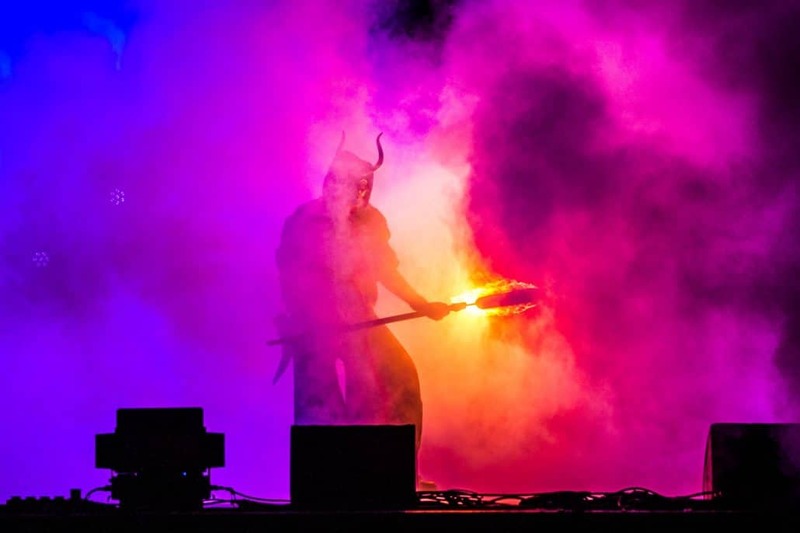 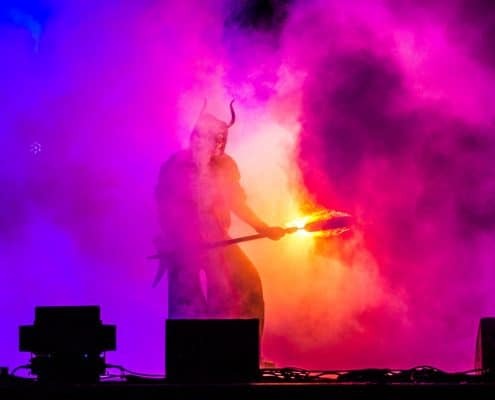 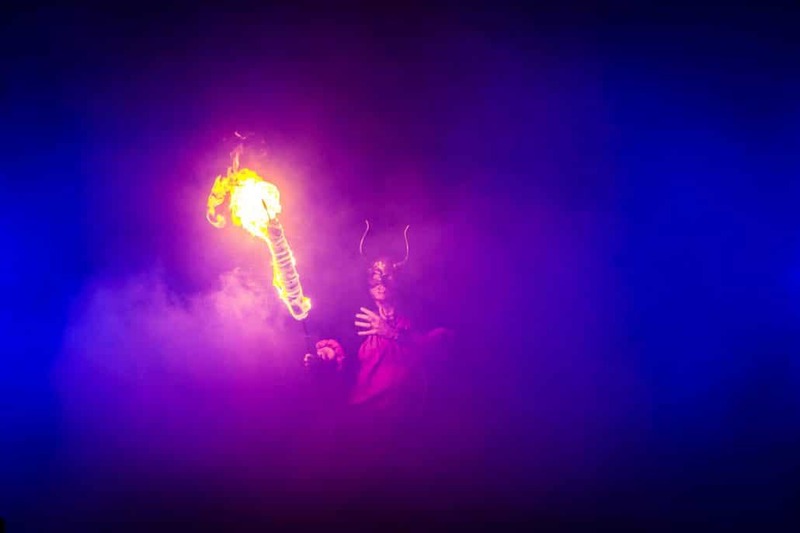 The devil was also included in the show, which was powerfully embodied by Arnout. 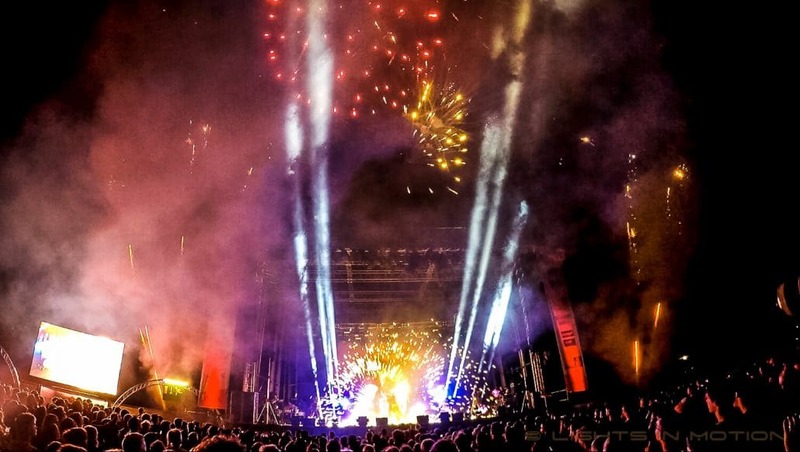 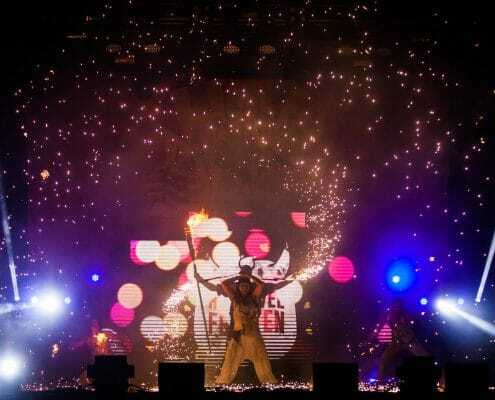 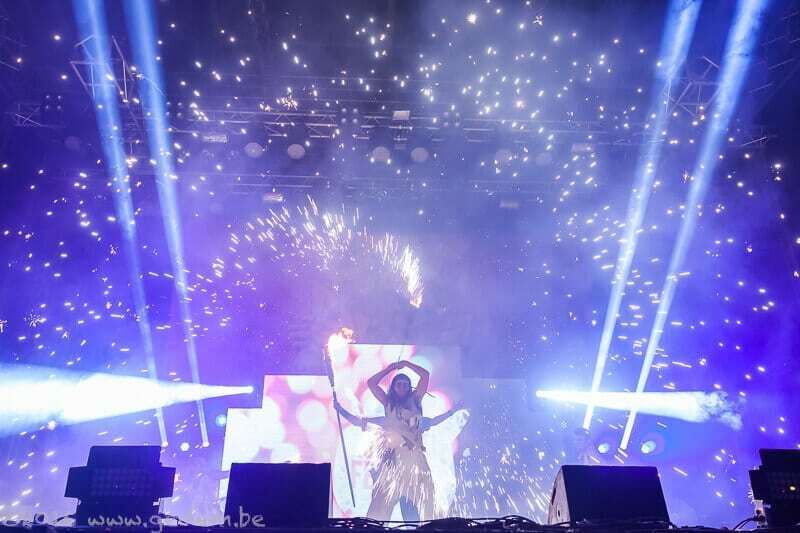 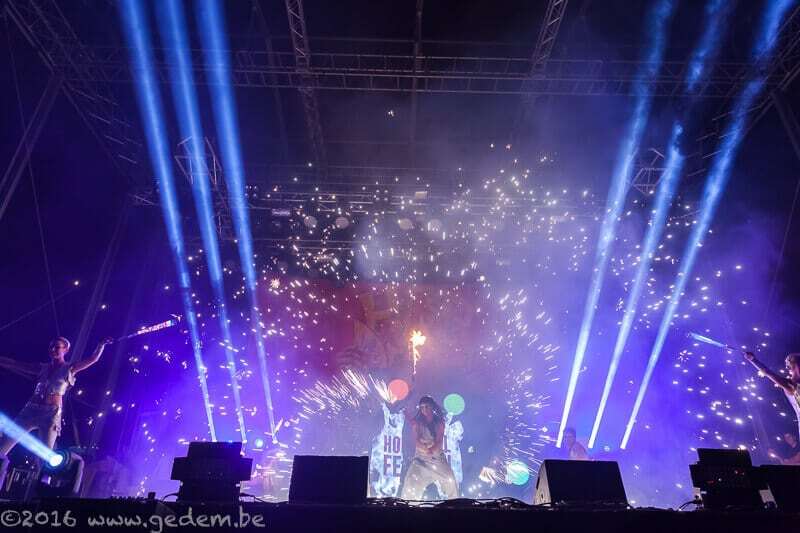 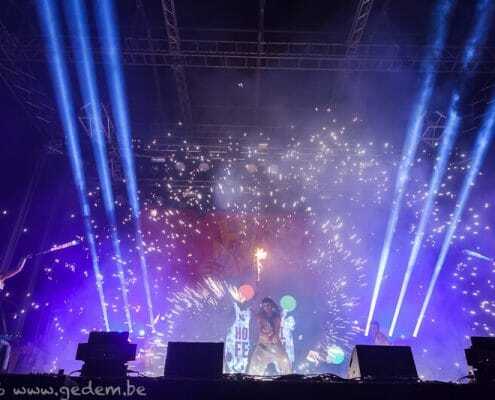 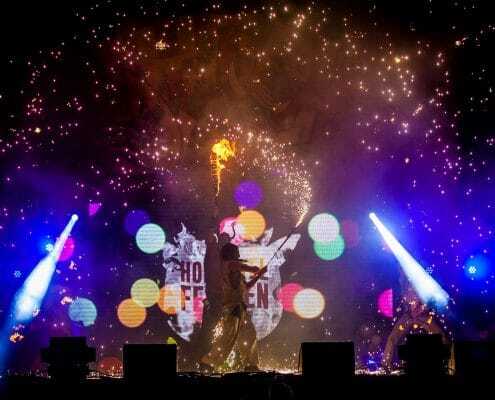 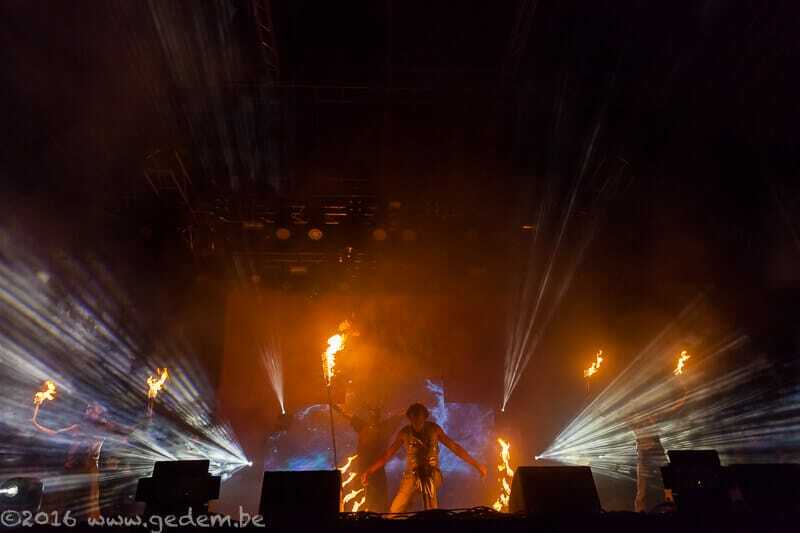 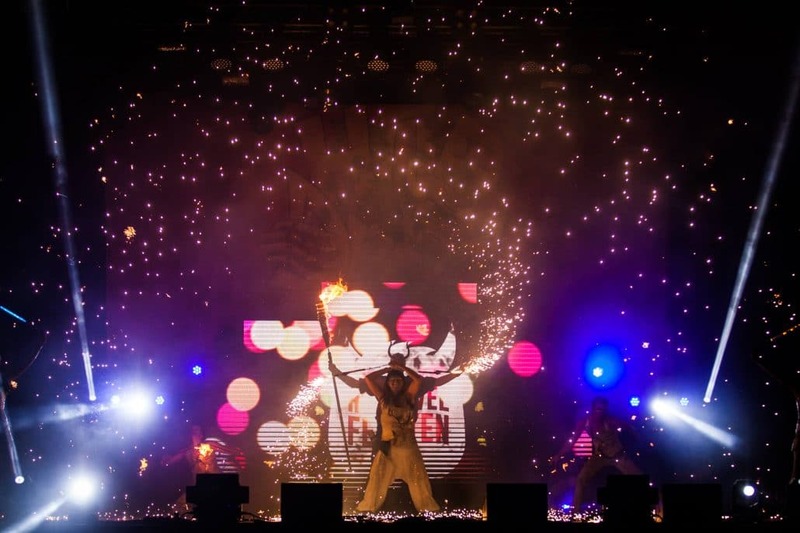 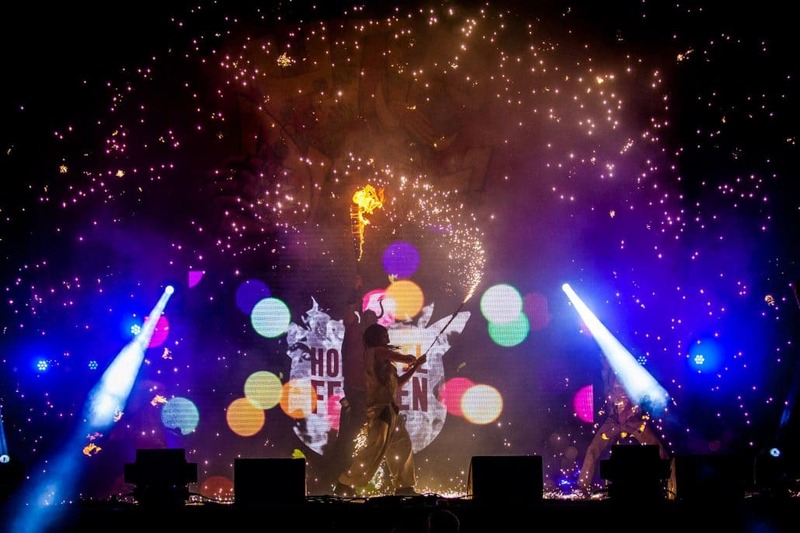 The entire stage show was expanded with a magnificent pyrotechnics display that was provided by Vangelabbeek Events. 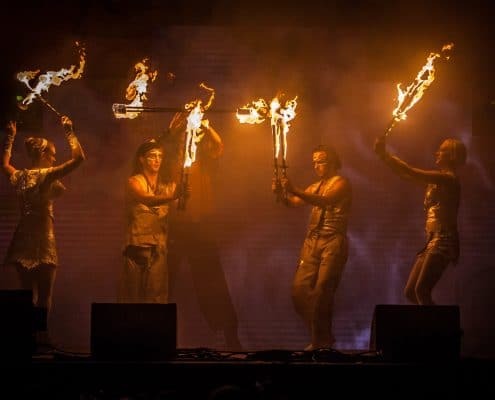 The performance was captured by multiple professional camera’s that streamed the images to a huge LED screen next to the stage. 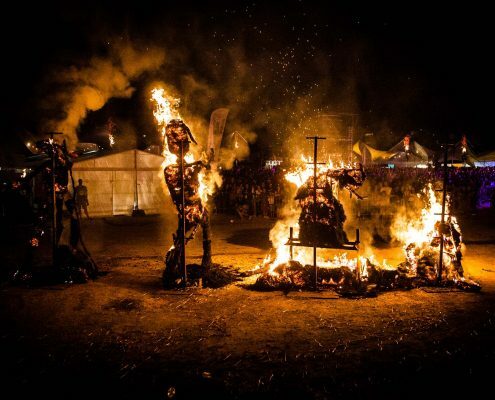 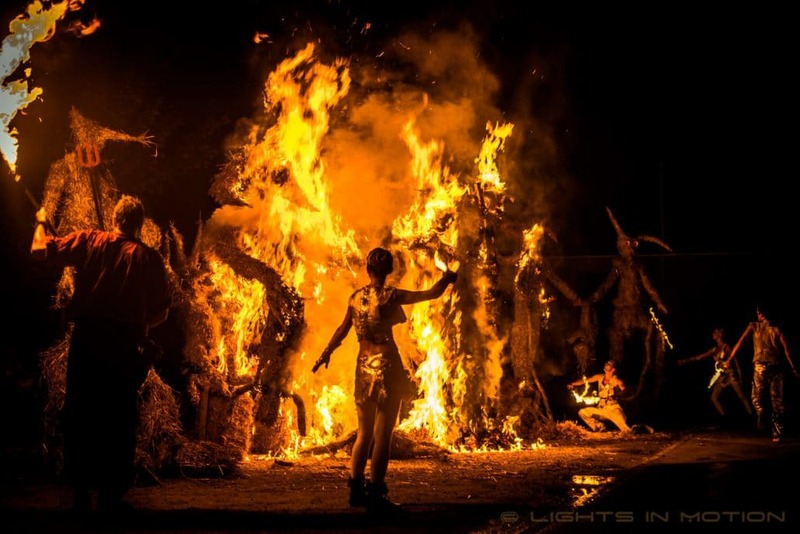 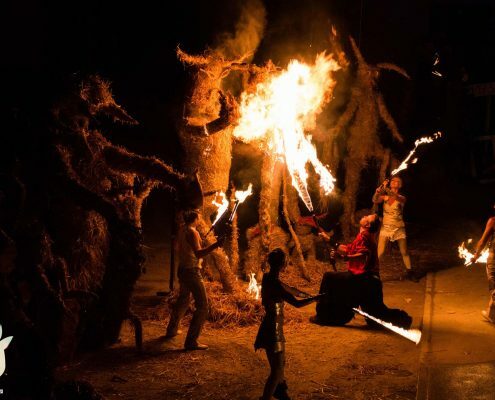 The outstanding Reflections show was followed by the second part of the closure ceremony: the ritual burning of the Hopduvels which were set up next to the stage. 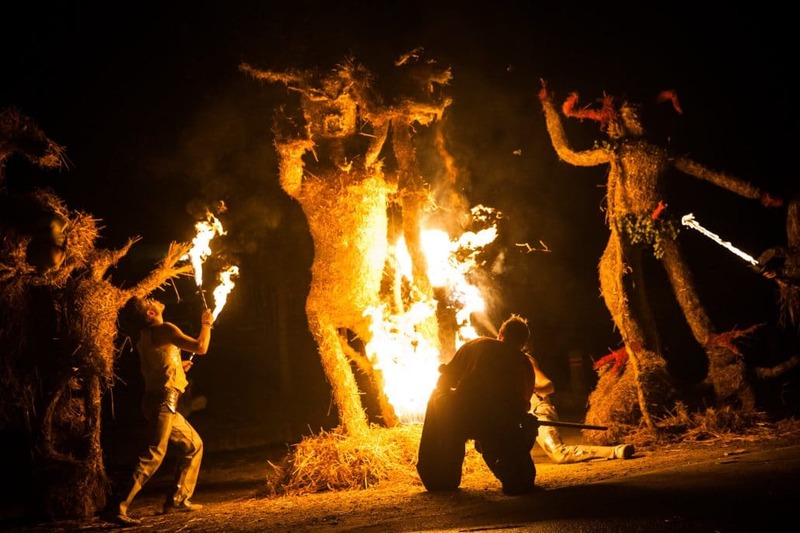 The Hopduvels were meters high statues that were made of straw and served as the mascots of the event. 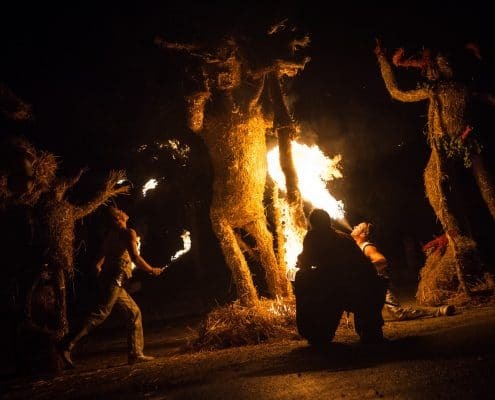 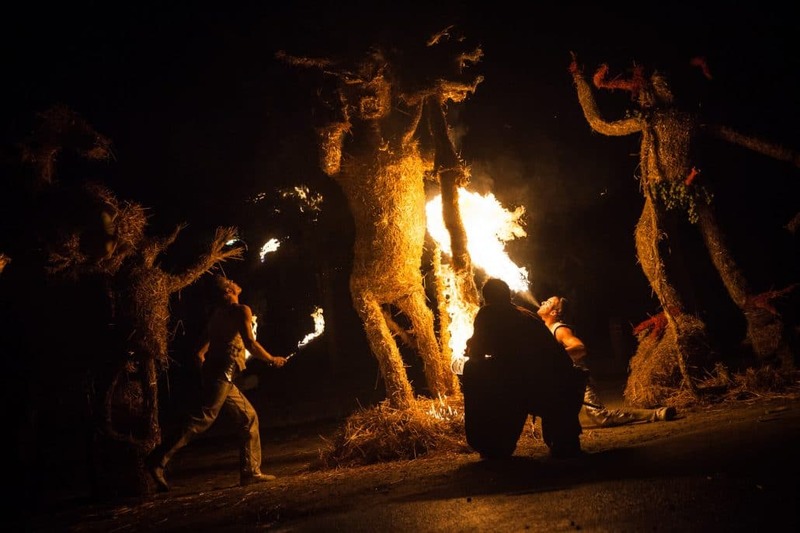 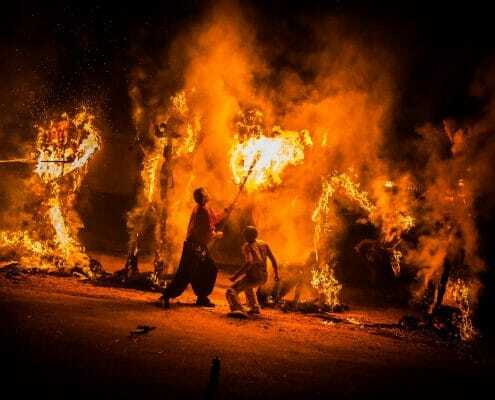 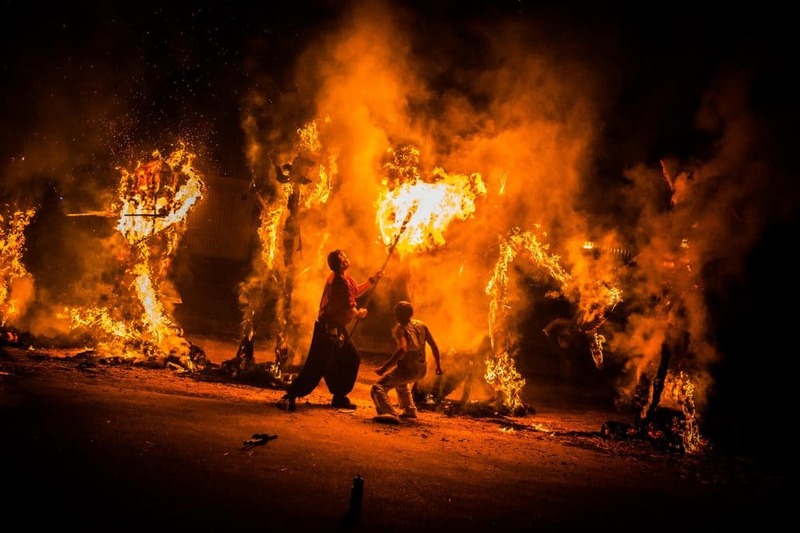 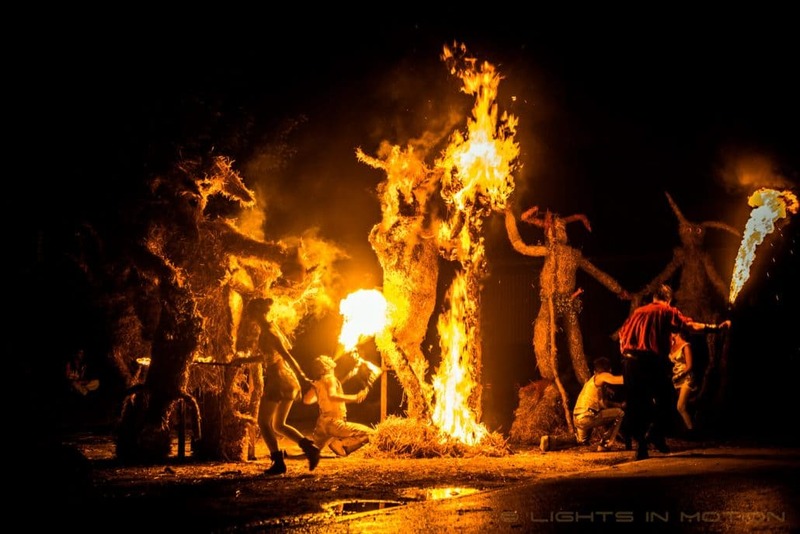 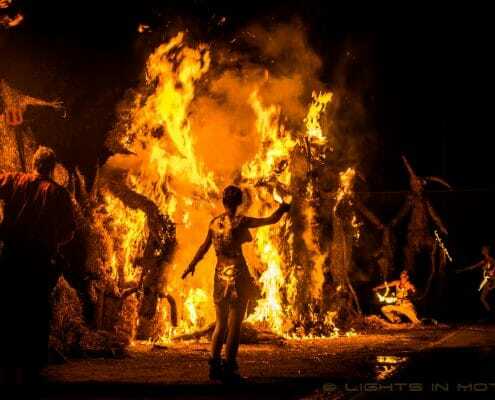 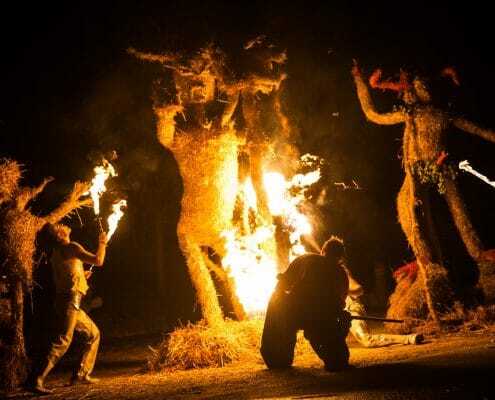 The ritual burning of the Hopduvels symbolises the expulsion of the devil from the municipality of Asse. 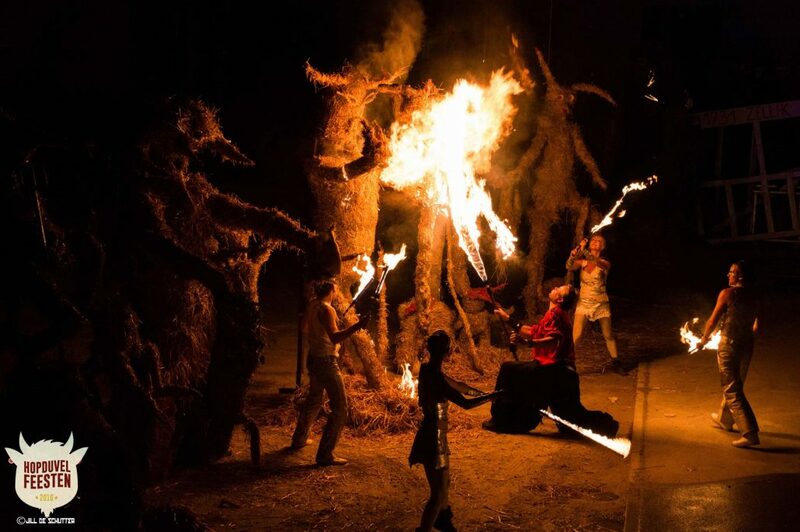 The Hopduvels were ignited instyle: the combination of fire swords and fire breathing flames lighted the statues, after which an immense blaze swallowed the Hopduvels and ended the closure ceremony into an epic climax. 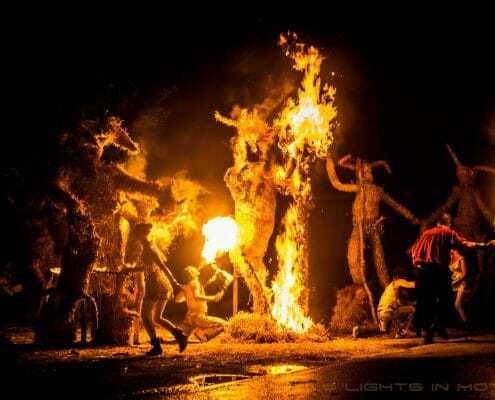 See the images and video below for a visual impression of this scene.